Did I Say Low Inventory? 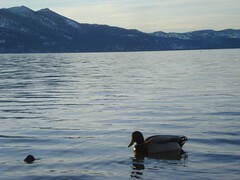 Today there are 113 unsold single family properties in the South Lake Tahoe MLS in the City County areas. 37 homes closed escrow within the past 30 days. That means, if no other homes come on the market, we will be out of inventory within the next 101 days at that close rate. If you are a seller, this is good news for you. If you are a buyer, hang tough, it won’t always be like this and please be patient with the situation, the right house will come along in time. I was at an advanced marketing class this week in Reno with Realtors from all over the country and, to some degree, they are all in the same boat with decreasing supply and increasing demand.